Welcome to the colorful Art Deco area of Miami Beach! Wait? Where is all the color?! There is no doubt, a visit to Miami's South Beach is a colorful experience! There are the pastel Art Deco buildings (and contemporary reproductions), the mid 20th century American cars strategically parked in front of hotels and the neon signs, and "colorful" characters strolling along Ocean Drive, day and night. But during our recent visit to South Beach with our design student along, we wanted to focus of the architecture. Jeff discovered by cropping out the colorful characters and draining the pastels and neon out of the photos, we can really see the bones of the Art Deco (and Mediterranian Revival) architecture. 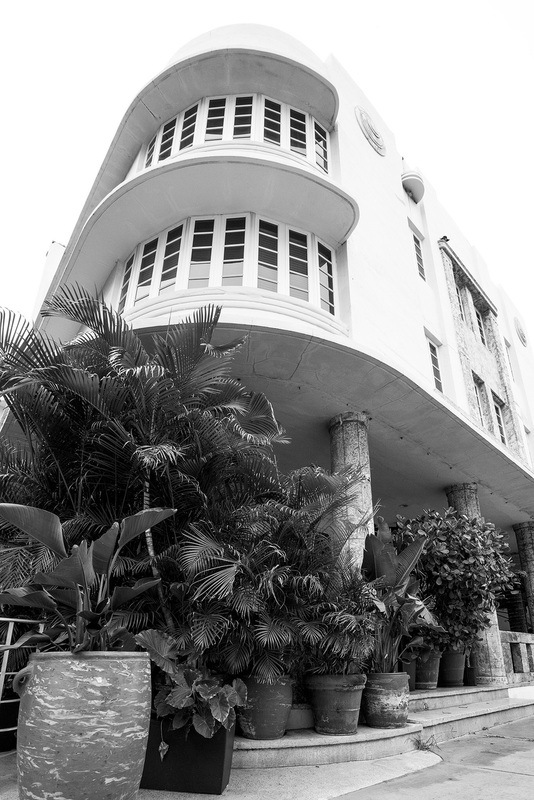 The group responsible for ensuring that Miami Beach keeps its iconic look, is the Miami Design Preservation League (MDPL). A good first stop is their Art Deco Welcome Center http://www.mdpl.org/welcome-center/visitors-center/ on Ocean Ave. if you've taken a photo next to the famous clock and thermometer on Ocean Ave, you've been there already! In addition to a museum, there is a funky little gift shop featuring fun Miami and design gifts that go beyond the typical idea of "gift shop". Would you like a Robert Graves pitcher, an poster from a past "Art Deco Week" or maybe a old ukulele? You might find it here! Another thing you'll find there is the official Miami Beach Architectural Guide Map from the MDPL. It costs three dollars, but is well worth having for a self tour of the architecture of South Beach. If you'd prefer, you can take a daily tour for $20 per person (no reservations needed) at 10:30 AM with a docent and get a little more "color" added the colorless descriptions in the architectural guide! A building stripped of its color draws your attention to the curved "eyebrows" over the windows. 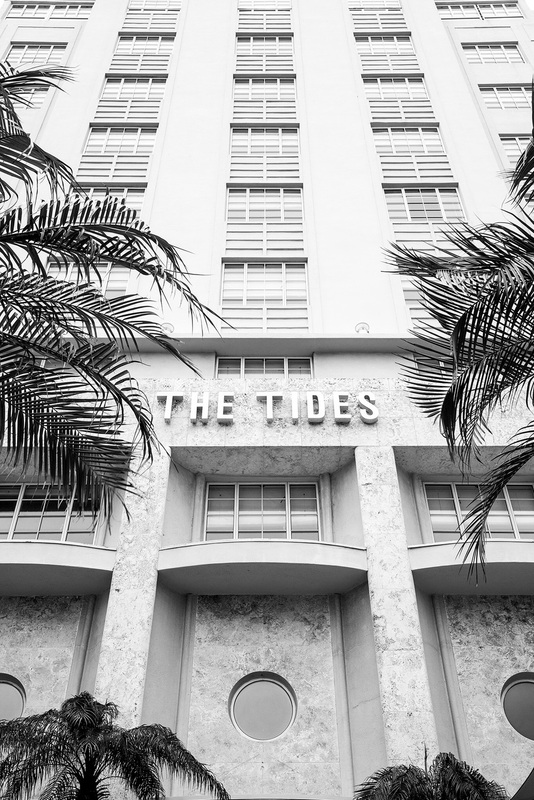 We learned that Miami's Art Deco is known as Streamline Moderne and is characterized by the stepped rooflines, symmetry, eyebrows over windows, glass blocks, curves and stream lines. These features "pop" more when the distractions of color and the people wandering around them are removed. 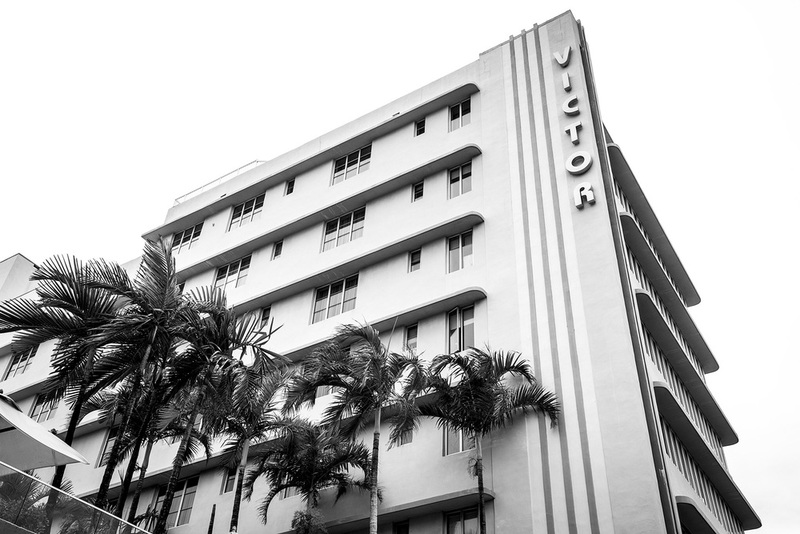 The Art Deco buildings in Miami often have rounded features on the street front. The Victor Hotel has examples of streamlines running down the building and eyebrows over the windows. The Art Deco buildings often have a "nautical" look to them, evoking a steam ship, exemplified here by the rounded "bow" of the building and the "porthole" windows. The Tides hotel also has port hole details. Several of these buildings also have colorful terrazzo tile floors in their lobbies. Touring independently, we were less than successful getting past the doormen to see most of them. It's likely the MDPL guide will have a better handle on which hotels welcome tourists trouping through and you'll have a better chance to see these on the organized tour. What's hiding behind that wall of coleus. This building above is open to everyone, Jeff hid them all behind some coleus, but people are just streaming in and out of this building! It's hugely popular! And you'll want to go if...um...you have to GO! It's the 14 th street bathhouse! 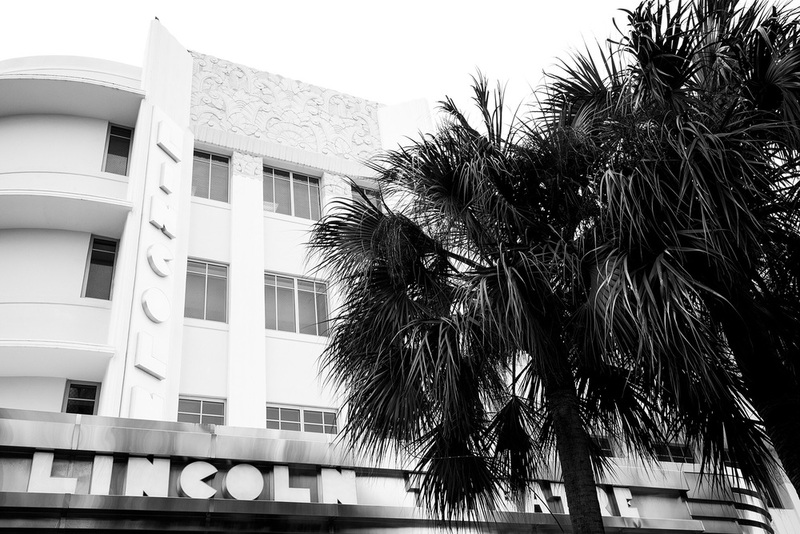 There are several buildings on the tour that fall under the category of "Contemporary", which means they are newer buildings (circa 1980s or 1990s) built to mimic the details of the buildings built during the Art Deco period in Miami. You'll also see plenty of Mediterranean Revival architecture, which is old world style with clock towers, balconies, archways, and the materials used are usually rough stucco and iron. A detail of glass block and eyebrows over the windows with streamlines on them. For architecture or design nerds, Miami South Beach is a wonderful place beyond the fun beaches and bars and colorful characters!